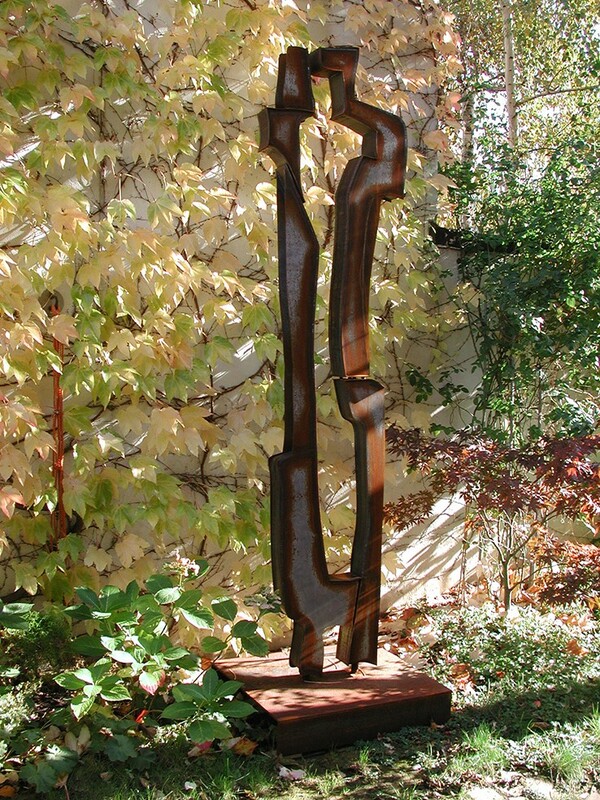 steel, 2005 My figurative art swings between figurative description and abstract space formation. So, the enclosed space is always part of the sculpture. "Conflict" is basically the result of two figurative sculptures, that show in the interior the contour of a third figure. Thus, a synthesis of sculpture and space is emerging.